CSC Motorcycles announced today that its motorcycles are available in the Middle East. Kool Bikes of Beirut is CSC Motorcycles’ newest dealer. Kool Bikes is selling California Scooters in Lebanon, Cyprus, Turkey, and surrounding countries. Oct. 14, 2011 - PRLog -- California Scooter Company (CSC Motorcycles) announced today that its iconic motorcycles are now available in the Middle East. Kool Bikes of Beirut, Lebanon, is CSC Motorcycles’ newest dealer. Kool Bikes (www.Kool-Bikes.com) is selling California Scooters in Lebanon, Cyprus, Turkey, and surrounding countries. Kool Bikes has received its first shipment of CSC motorcycles and the bikes are available in the Middle East now. California Scooter Company motorcycles are inspired by the original Mustang motorcycle manufactured in Glendale, California, from 1947 to 1962. 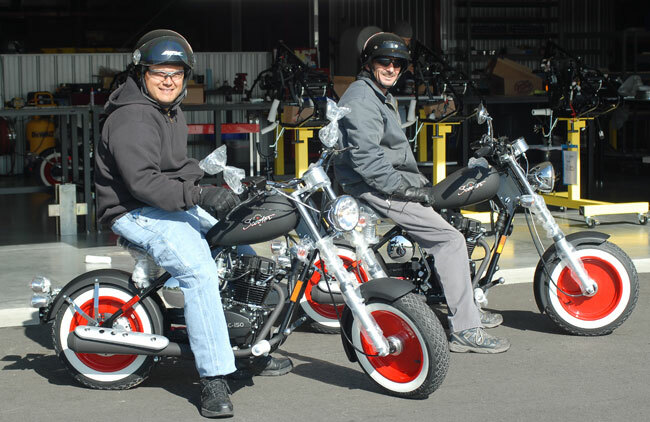 The new CSC motorcycles are street legal in all 50 states, and the bikes meet all emissions and safety requirements. The CSC motorcycles’ 150cc engines and 5-speed transmissions deliver over 90 miles per gallon and can attain speeds in excess of 60 mph. California Scooter Company manufactures 150cc street-legal motorcycles. The company sells in all 50 US states, Australia, New Zealand, Lebanon, Turkey, and Cyprus, and is in the process of certifying its bikes in Europe and Canada.